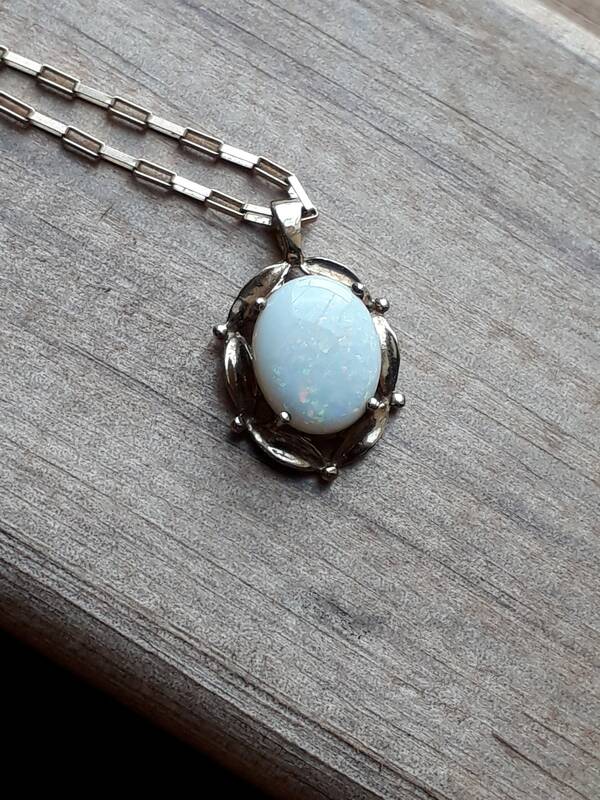 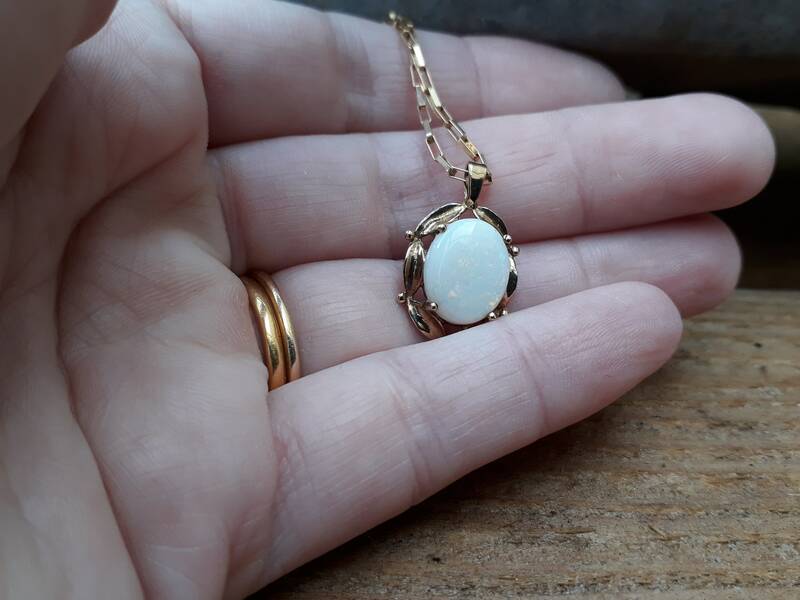 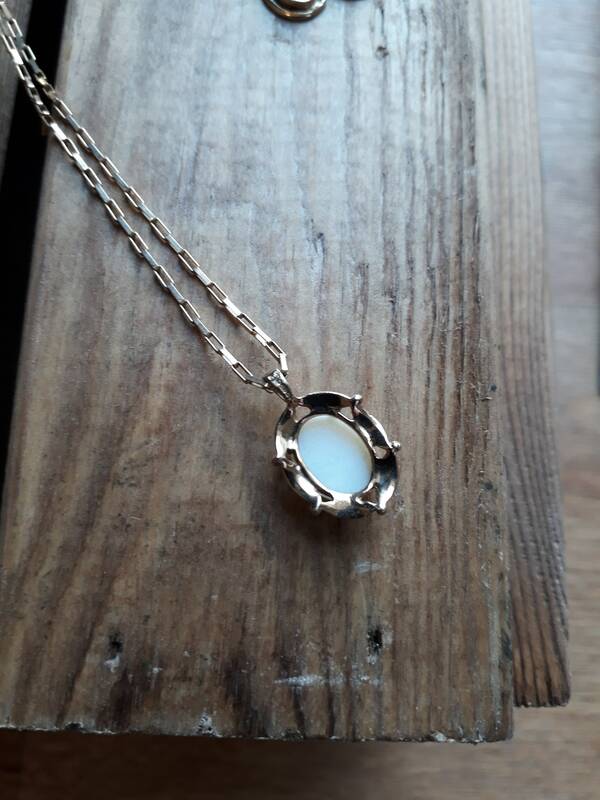 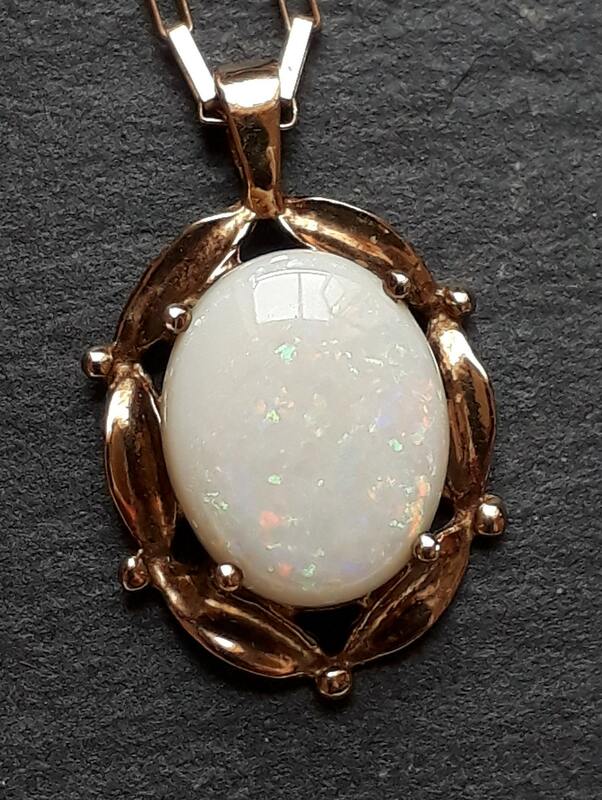 9ct Gold Opal Pendant and Chain. 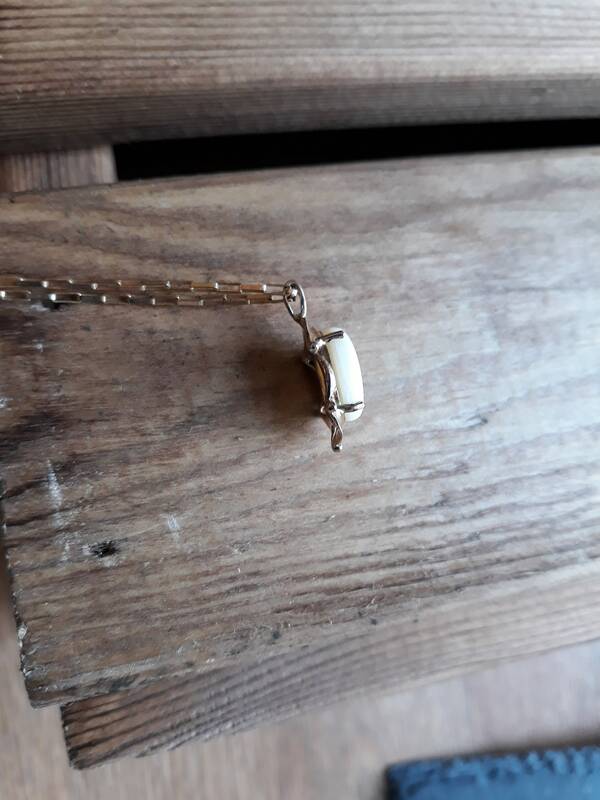 On A 19 Inch Belcher Chain. 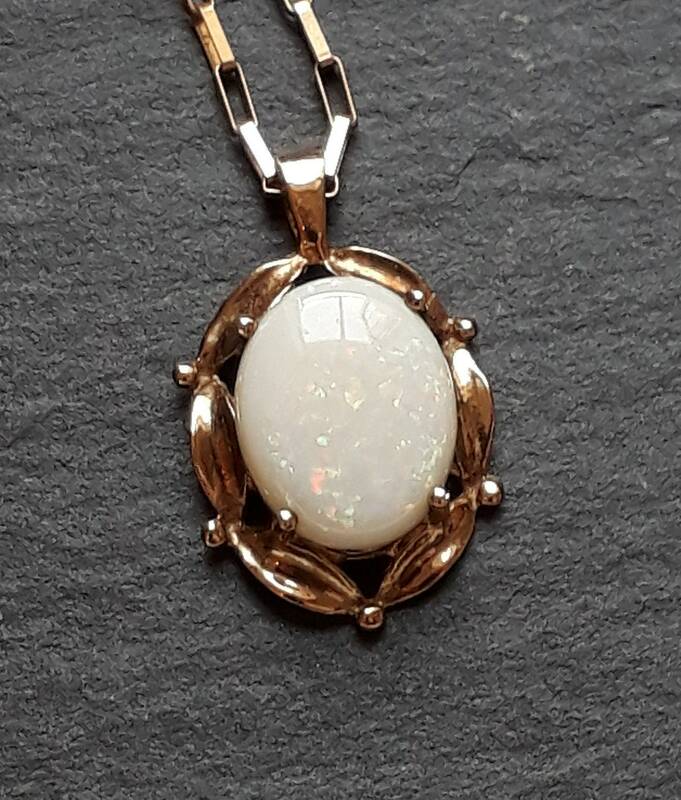 The Oval Pendant Has a Scrolled Design Which Accentuates The Sheer Beauty This Opal Has To Offer! 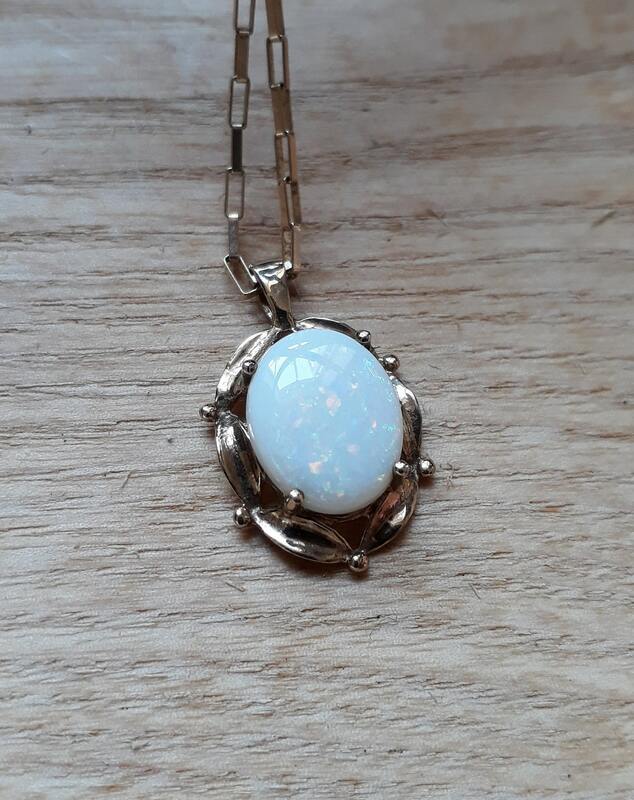 There are an Array of Colours and All Pictures Are Taken In Natural Light. 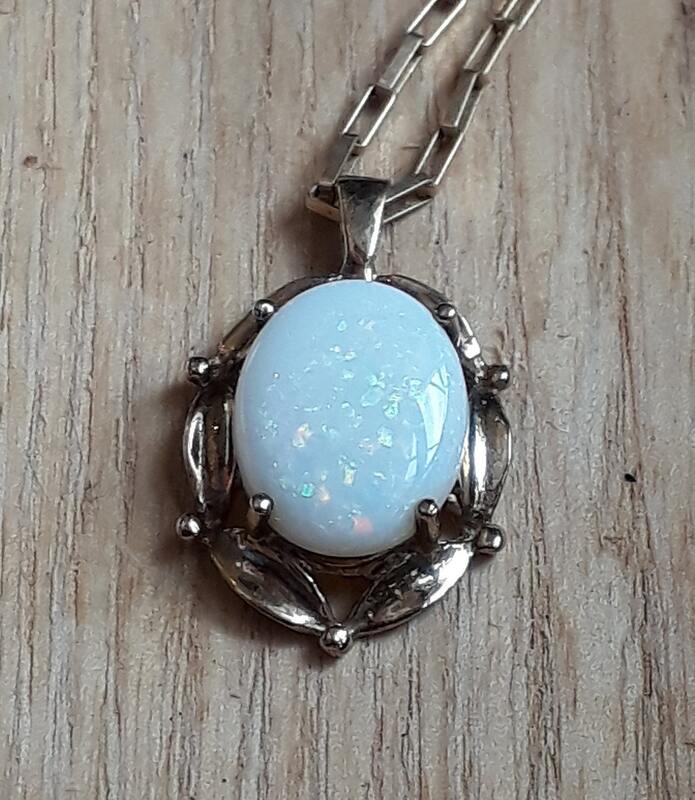 Opal Measures 12 mm High and 10 mm Wide.